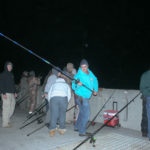 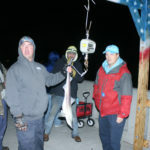 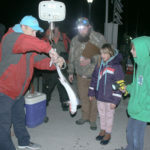 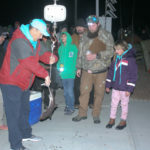 The 14th annual Dogfish Tournament at Johnnie Mercer’s Pier, held on Saturday, Jan. 26, drew 231 badges from 121 anglers. 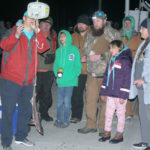 At its conclusion at 8 p.m, 19 dogfish were decked, all of the spiny variety, equalling 116.5 pounds of fish. 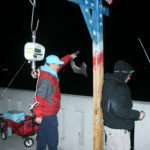 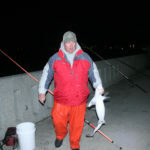 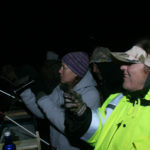 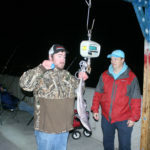 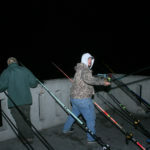 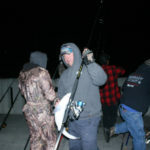 Most of the fish were reeled in after dark. 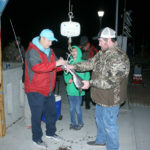 Naten Chang won the tournament, with a 9 pound fish, followed by Joel Love with an 8.7 pounder and Grayson Lanier placing third with an 8.6 pound fish. 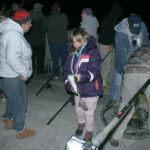 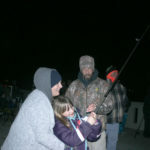 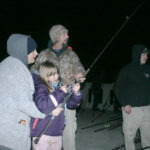 Nine-year-old Wilmington girl Whitney Clark, assisted by her parents Tim and Allison, reels in a 3.4 pound dogfish on Saturday, Jan. 26 during the 2019 Dogfish Tournament, held annually at Johnnie Mercer’s Pier. 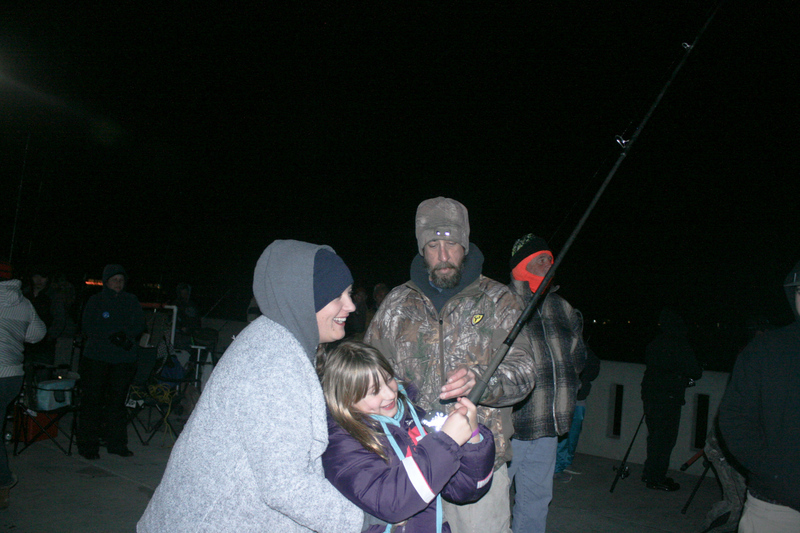 It’s not Whitney’s first catch. 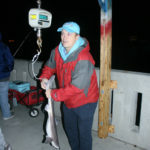 She has caught 29- and 26-pound king mackerel from the pier and she caught a dogfish two years ago. 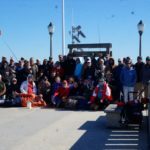 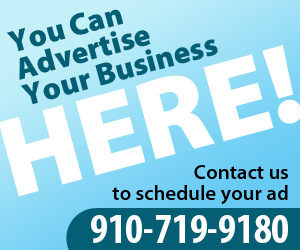 Organizers gave thanks go to Mike Foy, Mike Cowan, Jacob Thompson, Rick Britt and the North Carolina Fishing Pier Society for their donations. 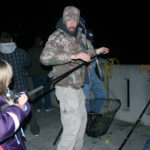 A special thanks from organizers went to pier owners Matt and Courtney Johnson for their commitment to make the event a success.